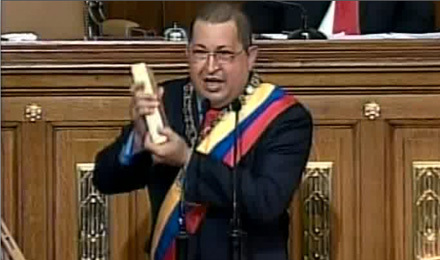 Venezuela’s Hugo Chavez carried out his threat to nationalize gold mines August 23, 2011. He then demanded the return of 210 metric tons of gold the country had stored in the Bank of England and other bullion banks. The Venezuelan gold bullion held in Western banks totalled about 17,000 good delivery bars. Each of the bars was 400 ounces of pure gold. The Financial Times said the Bank of England stored 99.2 tons of the Venezuelan gold. Venezuela also had gold deposit accounts with Barclays, HSBC, and Standard Chartered. Each of the banks was expected to deliver gold to the Bank of England [and then approximately forty shipments of gold would travel to Caracas]. That summer of 2011, rumors were flying surrounding possible gold shortages at bank storage facilities. In Quarter 3 of 2011, someone purchased almost 150 metric tonnes of gold. Were the banks covering Chavez’s demand for the return of Venezuela’s approximately $11 billion worth of gold bullion? PRICE OF GOLD TO ALL-TIME HIGHS [$1,900/oz]. In addition London’s Financial Times reported gold bullion stored at the Bank of England had “occasionally traded at an unusual premium” following Chavez’s August 2011 request. In Quarter 3 of 2011, un-named banks purchased 148.4 metric tons of gold —the highest quarterly level since 2009. Because of confidentiality restrictions, we still do not know which banks made a significant number of the purchases. In an interview with the Wall Street Journal, the World Gold Council said it was unusual for purchases of that magnitude not to be reported publicly. Buyers of gold tonnage are usually not anonymous. But to this day, the identities of the banks remain a mystery; and traders are still speculating.